Hosta 'Maui Buttercups' is one you have to see, and I promise you will love it. It has great bright gold coloring, which helps brighten up any shade garden. 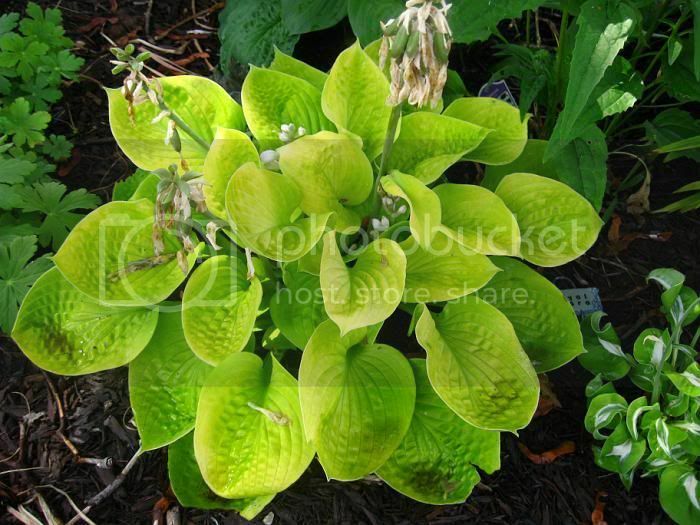 The leaves are round, and the more this hosta matures the more texture the leaves gain. The leaves have a slightly cupped shape, and love to gather rain water in their leaves. Pair this hosta with dark green, variegated, or blue hostas.